Ann and I got out for our first movie in a theater since last June.. it was a nice day in KC and, along with a great late lunch, we really enjoyed the experience. 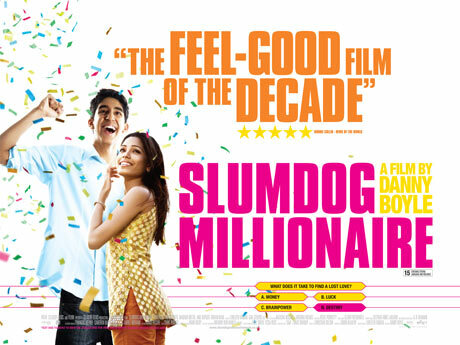 Slumdog Millionaire tells the story of two brothers and a young girl who survived the horrors of watching their mother be murdered and then growing up in poverty in India. The movie is set against the backdrop of the popular "Who Wants to be a Millionaire" game show.. but the show has little to do with the movie. I found the story to be a compelling one.. a gut wrenching peek into poverty.. a tale of how so many kids live in third world countries.. the movie at times broke my heart.. it still surfaces deep emotions within me.. some of the scenes were simply tragic. At its core this flick is one about a redeeming sibling relationship and how sacrificial love triumphs over great odds. Indigenous non-actor children were used in the filming and did a great job. The music was good and the ending was an up lifting one. I recommend seeing it.. if you can handle "R" rated drama. I'm with you on this one Bob. I resisted seeing this film for awhile because of the storyline about Who Wants to be a Millionaire which is a show I detest. The movie as you state is really a peek into another world with plenty of other inspirational aspects. Big thumbs up from me too. If anyone hasn't seen this film yet get yourself down to the local movie theater before it is too late. You won't regret it. 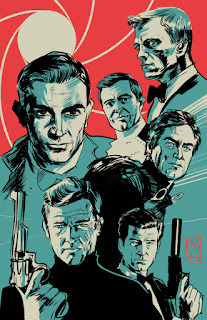 I have yet to meet anyone who has seen this film that didn't really, really, like it. A tremendous love story and one of the best directed films I've seen in ages. Despite R rating, would bring my 14-yr old. Thanks for the review, KB! We just saw the film last night. It is certainly worth seeing. It gives you a glimpse of the poverty in India but until you have been there and experience the smell (curry, diesel fuel, and human stench) and the noise (it is just incessant noise) you can’t fully appreciate the conditions people live in. The children beggars break your heart but you a warned that most are being forced to beg by an adult. I will never forget a little girl with her "baby sister" begging at my taxi. The movie will give you some insights into this life. However, I did spend a day at HOINA (hoina.org) which is a home run by some wonderful Americans and for over 30 years they have made a huge difference in the lives of many kids that would have ended up as street beggars at best but most likely they would have died. The other item of note in the movie is the persecution by Hindus in this case of Muslims. Most people view Hindus as peaceful “Gandhi” types and the reality is the Hindus can be very militant and are usually the persecutors of Christians in India. This is a film that will stick with you for awhile.